The world’s wealthiest sport organization, the National Football League (NFL) is no place for old men: the average career for a player drafted out of college lasts no more than 3.3 years. So when Sebastian Janikowski, born in 1978 in Wałbrzych, a poor mining town in the south-western corner of Poland, took the field on Sunday night at Denver, the Fox commentator could not contain his glee. 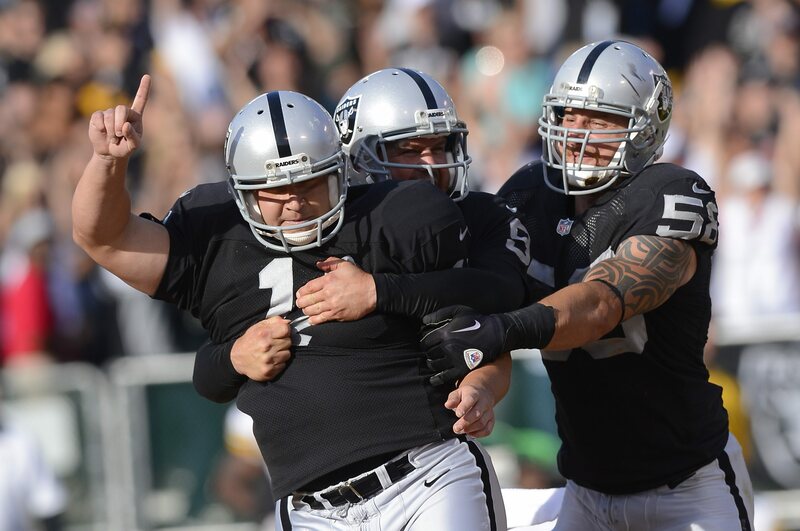 “Look at my man, Janikowski, he looks like an imposter,” the television pundit chuckled, as the pudgy 40-year-old measured out his run-up. Janikowski, who at age 17 played Association-rules football, soccer for short, for the Polish national youth team, has since become an NFL institution thanks to his powerful and accurate kicking ability. Unlike almost any other position in American football, the kicker may not be tackled by opposing players, making much longer careers possible. Even so, few match Janikowski’s. 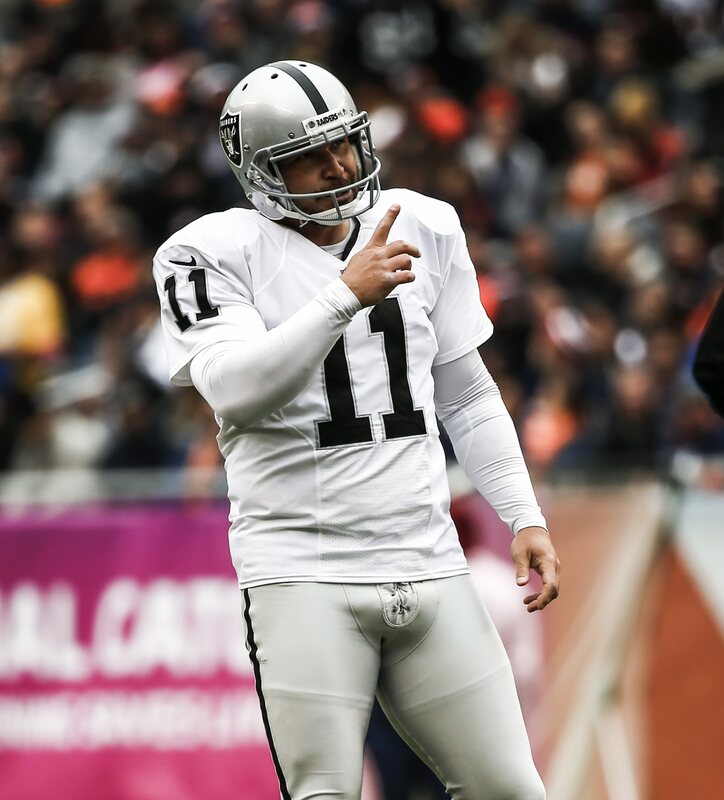 Any goal kick longer than 50 yards is considered something of an achievement in American football; Janikowski is one of five men to have scored from 63 yards or more (the record is 64) in NFL history and the only one ever to have two scores of over 60 yards. 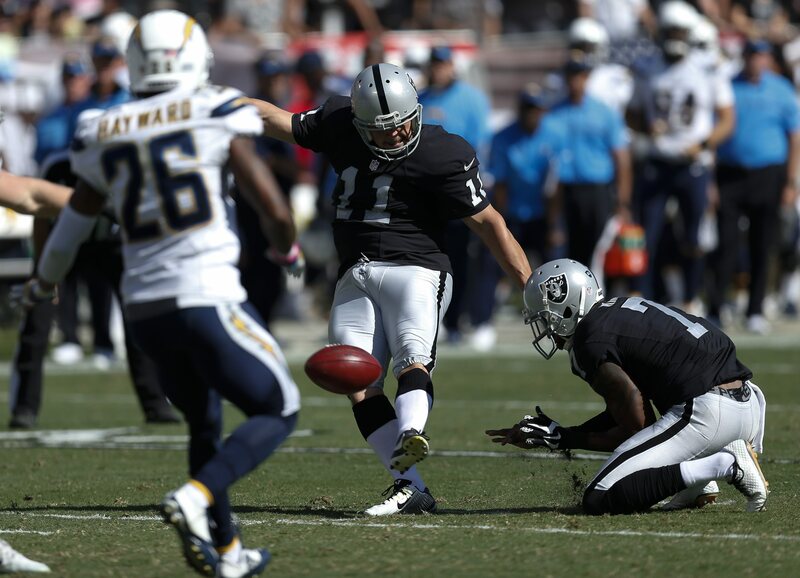 But while power may be his most remarkable attribute, Janikowski is no slouch in terms of accuracy, scoring on over 80% conversion of his field goal attempts which ranks in the top 50 on the all-time NFL list. While the kicker’s body may not suffer the same depredations as most of his teammates, his is a relatively thankless job. Brought onto the field a few times a week to convert extra points after touchdowns or turn attractive field positions into field goals, any success (those once in a high moon 60-plus-yarders aside) is regarded as routine with only failures likely to generate headlines. Janikowski spent 18 years ploughing that lonely furrow for the Oakland Raiders, an unheralded team living in the shadow of its more glamorous Bay Area rivals, San Francisco Giants. The Raiders drafted him 17th overall in 2000, the highest draft position for a kicker in modern NFL history, amid howls of derision which seemed quickly to be borne out when he endured a poor rooky season on the field, kicking for just 68%. Things were not better off it, with a couple of bar brawls overshadowed by an arrest on suspicion of drug possession and two convictions for driving while intoxicated. But the Polish party guy seemed to overcome his issues going on to become the highest-paid kicker of all time and an Oakland legend with more games to his name than anyone else in team history. He also leads the Raiders’ all-time scorers list with 1,799 points. Nicknamed Seabass – his teammates found Sebastian hard to pronounce – he will not add to that tally after being released by the Raiders at the end of last season. But Janikowski was signed by the Seattle Seahawks and on Sunday played his first game for only the second team of his 19-year professional career. Janikowski converted all three of his extra point attempts but missed one of two field goals, dropping the three points that proved to be the difference between the teams: Denver Broncos beat Seattle 27:24. But even past his 40th birthday, the American footballer from Wałbrzych has some way to go. Currently ranked the 11th all-time scorer in the NFL, he seems destined to end his career much closer to the top.